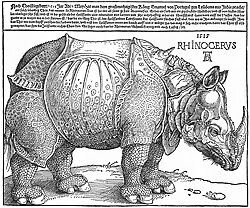 My friend Dharmacārin Dhīvan (aka Dr Thomas Jones) was recently invited to give a series of lectures at Cambridge University and he told me that he included three parallel versions of the Rhinoceros Sutta partly to demonstrate the relationship of the canonical languages, but mostly to give a feel for the early (i.e. pre-sectarian) Buddhist world. I was taken by the idea of presenting three versions of the same text and so I asked for a copy of his handout and have used it to create this blog post. These three versions of the text can be found together in Richard Salomon's book A Gāndhārī Version of the Rhinoceros Sūtra. As an elephant with massive shoulder, spotted, noble, leaving the herds might live as it pleases in the forest, one should wander alone like a rhinoceros (horn). Affection comes into being from keeping company; following on affection, this suffering arises. Seeing the danger that comes from affection, one should wander alone like a rhinoceros (horn). Cultivating at the right time love, equanimity, compassion, liberation and gladness, unimpeded by the whole world, one should wander alone like a rhinoceros (horn). The three versions of this text are in three important languages for the transmission of Early Buddhist texts. It is interesting to see these languages side by side. It's doubtful to me whether they would have been mutually intelligible. Unlike the Vedas which were rigidly transmitted in a single language that gradually became unintelligible too many of those involved in the transmission, the Buddha encouraged his followers to pass on the Dharma each in their own language. We know that even among speakers of languages descended from Vedic that there must have been considerable linguistic variation. Compare the situation in Europe where we have languages such as Spanish, Portuguese, Italian, French, and Romanian all descended from vernacular Latin. It was some time before Sanskrit was a adopted as a lingua franca, not for many centuries. Some scholars think that Pali might have been an attempt at a lingua franca. As well is the evidence of texts in several Indian languages, there are two stories in the Pali Canon which tell us that this was more than just a drifting apart. One of these, Vin ii.139, is now somewhat infamous because of the competing interpretations of it. In this story to Brahmins attempt to persuade the Buddha to allow them to translate the Buddha's teaching into 'chandaso' The competition arises because scholars have attempted to use this passage to show what language the Buddha might have spoken, by interpreting the word chandaso in at least three different ways. My understanding is that all we can draw from this passage is the notion that the Buddha did not want everything standardised linguistically. The other story is found in the Araṇavibhanga Sutta (MN 139). Here the Buddha explicitly says that one should not insist on using the local dialect, nor override local usage. he points out that the same vessel is called different things in different places: pāti, patta, vittha, serāva, dhāropa, poṇa, pisīla (ie the Buddha in this text possibly knows of at least seven distinct dialects). The text is an instruction on how to avoid conflict, and in this case it doesn't really matter what we call the thing we are eating from as long as it does the job it's designed for. So although we preserve scriptures in a relatively small number of languages, as English-speaking Buddhists what we strive for is to convey the Buddha's insight, and our own to the extent that we have it, in the language of the people we are speaking to. Clearly I believe that having reference to the traditional canons is helpful. I have certainly found that learning Pāli, even to the limited extent to which I have, has enriched my practice. One of the consequences of this translation process is that not only is the language translated, by which I mean the words; but the cultural references also change. So the Buddhism of any given culture gradually becomes distinctive as it orientates itself to that culture. This gives rise to differences that aren't necessarily easy to understand and doctrinally terms. If we only use doctrine as a frame of reference for understanding Buddhism then we may fail to understand the way that some Buddhists practice. This opens up the wider question which I hope to address in the future essay: who is a Buddhist? What is Buddhism? Specifically is Buddhism not simply what Buddhists say and do; or is Buddhism only what it says ancient texts? Salomon, Richard with Glass, Andrew. A Gandhari Version of the Rhinoceros Sutra: British Library Kharosthi Fragment 5B. University of Washington Press, 2001. Addition 20 May 2010. If you are interested in parallel versions of texts then there is a Comparative version of the Dhammapada compiled by Bhikkhu Anandajyoti. He compares four main texts: the Pāli Dhammapada, the Gāndārī Dhammapada, the Patna Buddhist Hybrid Sanskrit Dharmapada, and a Sanskrit text Dhammapada style text called Udanavarga. In addition he includes parallel verses from other texts where they are known about. 7 March 2015. Dhivan has subsequently published an article on the difficult term khaggavisāṇa: 'Like the Rhinoceros, or Like Its Horn? The Problem of Khaggavisāṇa Revisited.' Buddhist Studies Review. Vol 31, No 2 (2014).